However, contrary to your belief and wishes, a good time to start is in your early 20s. This is because this is the time when you are most independent and have to take control of your finances. You probably don’t want to be bothered about planning money when you are in your 20s.You’re young and want to try out different things, food and places without worrying about money, savings and investments. However, contrary to your belief and wishes, a good time to start is in your early 20’s. This is because this is the time when you are most independent and have to take control of your finances. 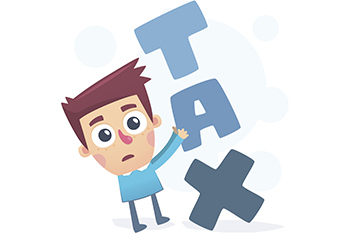 The Income Tax Department allows saving up to Rs1.5 lakh every year by investing in tax-saving avenues such as Public Provident Fund (PPF), Equity-linked Savings Scheme (ELSS) or National Pension Scheme (NPS). It is wise to take advantage of such avenues and save on the taxes you pay yearly. It’s best that you plan your financial year in the first quarter as you have the time to properly plan your tax-saving investments. Avoid making last minute decisions so as to not make bad investments. One should estimate the income and make a rough calculation about the money you will spend that year. One can build a portfolio with a mix of debt and equity investments, which earns good returns without high amounts of risk. Equity-oriented investments have an element of risk whereas debt-oriented tax-saving investments offer guaranteed returns and capital protection. For long-term investments, ELSS funds can help get higher returns and also reduces the risk. Unlike investment like PPF and Fixed Deposits (FDs), ELSS funds can fetch you inflation-beating returns over the long term. Life Insurance premium, Health Insurance premium, Loan repayments, etc. are eligible for tax exemption. These are payments that have already been made, so be sure to avail the tax exemption under Section 80C. Tax-saving investments are for the long term and can help you reach your financial goals like saving for a car, a home, a vacation, etc. As a young investor, one can continue to invest in ELSS funds to reap the long-term benefits that they can offer, even through a bad market phase. 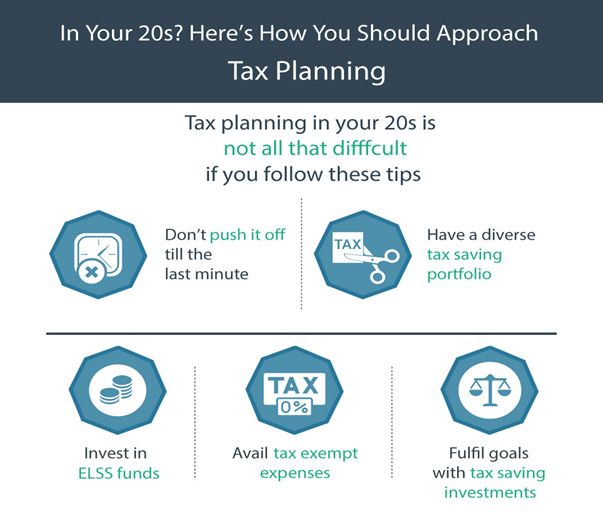 Your 20s lay the foundation for a bright and strong financial future. Tax-saving investments and expenses can get you the both, saving money and also to ease your financial life. It’s important to have an annual check over the performance of your funds and replace the older ones with new, better options.